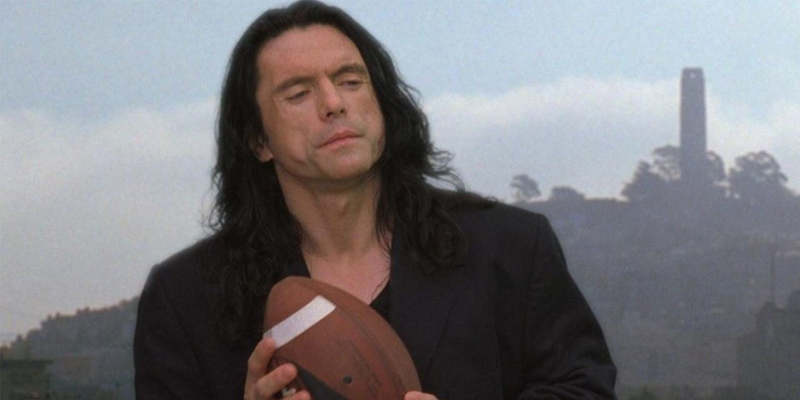 The Room may not have garnered all the awards and critical acclaim that James Franco’s The Disaster Artist did, but there’s only one real disaster artist, and that’s Tommy Wiseau – which he proves by reenacting iconic scenes from popular disaster movies in hilarious fashion. Wiseau made The Room because he was having trouble getting work as an actor. But following The Room‘s cult success, he found himself picking up more and more cameos in comedic projects. Thanks to Franco’s making-of homage to Wiseau’s cult film, and a gracious but involuntarily silent inclusion in Franco’s Golden Globe speech, the actor/director has become more popular than ever. Wiseau has become quite active in promoting Franco’s film, including this goofy plug for The Disaster Artist‘s DVD release. The post Watch Tommy Wiseau Reenact Famous Disaster Movie Moments appeared first on Screen Rant. This entry was posted by Screen Rant on March 9, 2018 at 10:17 pm, and is filed under TV News. Follow any responses to this post through RSS 2.0. You can skip to the end and leave a response. Pinging is currently not allowed.